Born and raised in Edmonton, Rita’s singing career began in 1975, majoring in vocal studies at Grant McEwan College under Dr Dasha Goody. She appeared in local TV and radio specials such as CBC presentations with Tommy Banks, Edmonton Musical Theatre, Klondike Days extravaganza’s, Spirit of Edmonton in Montreal as well as various recording studio cameos. Her first band in 1975 Sundog led to classic rock act Body Heat. 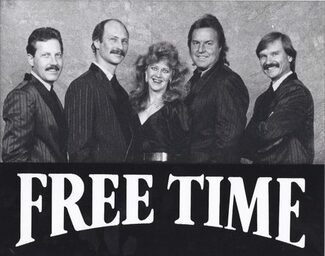 By the 80’s, Rita fronted The Committee, Hidden Faces and 12:09 to name a few. She also participated in leading various church based worship teams and was involved in the Edmonton Celebration Choir that performed numerous times at the Winspear. She also glittered in the Singing Christmas Tree! For the last 38 years, Rita’s passion of sharing her craft of singing to hundreds of students has enriched many lives including hers. 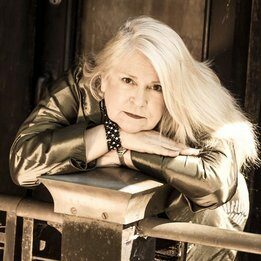 Rita is influenced by many vocal greats like the “Bonnies” (Raitt and Bramlett), Aretha Franklin, Carole King, Linda Ronstadt and currently Janiva Magness. Music flows through her blood. The musical adventure lives on. Rita’s a lifer! Guitar slinging began at age 12 for Kevin. Playing professionally since 15 years of age, his first band “Jonah” toured throughout Saskatchewan and Alberta for 11 years. Kevin’s passion for blues kick-started in 2006 with his new wife Rita McDade. A lifelong player, educator and music industry specialist, Kevin is a 46 year music veteran. He “doesn’t like to play…He Lives to Play”! 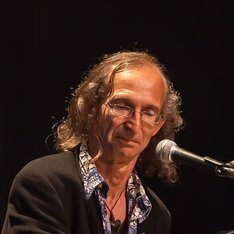 Murray, a member of Rita McDade and The Fusion Band has been playing professionally since the early 70’s. He joined Rita McDade forming the band Hip Pocket in 2006. Keyboards of all shapes and sizes are graced by his multi-talented hands! He blows a pretty mean harp too! 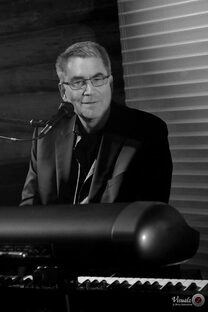 In the distant past, Scott a member of Rita McDade and The Fusion Band was a regular entertainer at some of Edmonton's finest piano lounges. Following a 30 year hiatus from performing live (life has its little distractions! 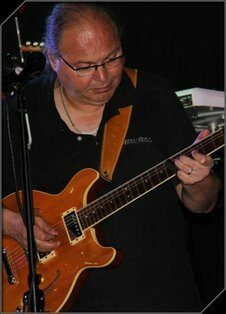 ), he joined The Grey Cats Blues Band fronted by Rita McDade in 2011 and hasn’t looked back! 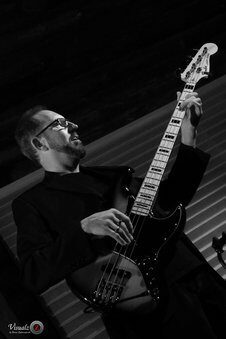 Rollie LaMarche , a member of Rita McDade and the Fusion Band, brings his many years of experience and eclectic style of playing bass from pop to jazz and funk to blues. You can hear his love of the instrument holding down the groove and infusing the bottom end making you want to dance. 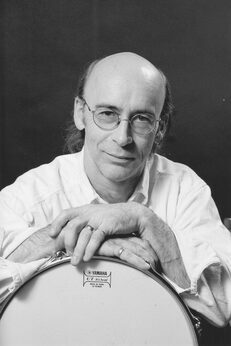 was born in Barrie, Ontario and played for over 50 years as a session drummer and percussionist for a number of bands. For over 42 years he recorded and toured throughout Canada and the USA. Steve He regularly played as a part of worship teams in the churches he attended. He was also an excellent instructor and mentor for many young musicians. Memories from Rita McDade " Steve's wishes were to celebrate his memorial in Jeans and Music/Band Tshirts. We know how much he loved the Beatles!"